WEBSITE: Montville Misty Views | PHONE: 07 5442 9522. Each of our luxurious self contained ‘couples only’ cottages have panoramic lake and rainforest views from the balconies. Private and secluded, they are surrounded by lush tropical gardens on 20 glorious acres. 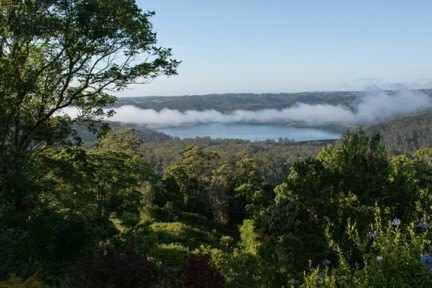 Visit our Montville Misty Views website for a complete view of our wedding and honeymoon accommodation services and packages. Email us in the field at right – please ensure you add our business name to the email. Or Phone 07 5442 9522 for a chat.